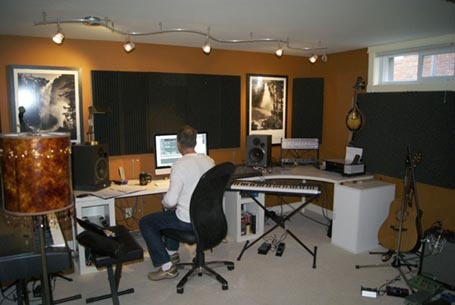 Duane's studio is well equipped for producing film music using the latest computer-based virtual orchestra technology, and also for recording solo and small ensemble productions. Acoustically, this room was designed from the ground up as a studio. 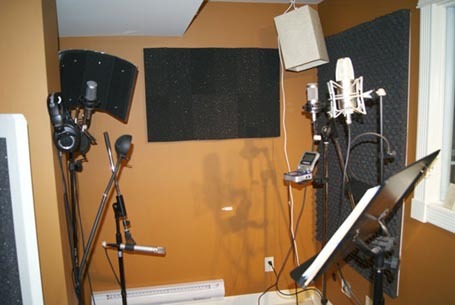 The walls are angled slightly to decrease standing waves, heating and air conditioning systems were installed separate from the rest of the building, with acoustic isolation and balanced acoustic absorption to provide a good environment for recording and listening. A ProjectMix I/O console and Oxygen preamps feed the iMac that is the centerpiece of the computer environment, and Event 20/20 studio monitors provide detailed and accurate mixing. 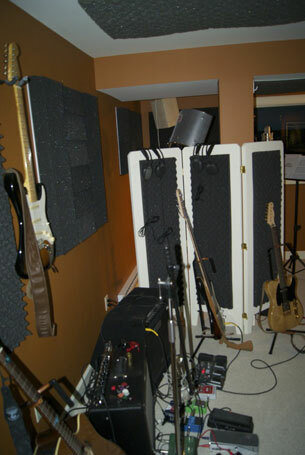 Microphones (dynamic, condenser, ribbon, and tube), guitar amps, and DI's provide versatile options for recording acoustic and electrical instruments. 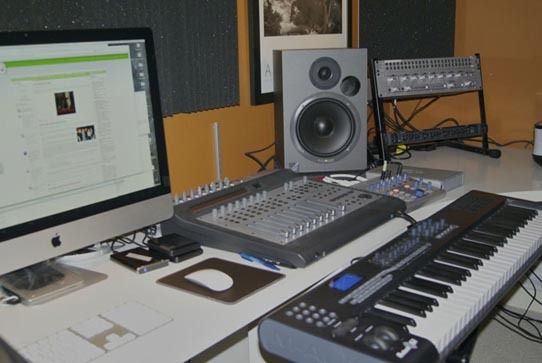 Production is all done with an iMac and Logic Pro 9, with an array of virtual orchestral samplers, soft synthesizers, reverb, and other sound processors. For orchestral productions, Duane uses the Vienna Symphonic Library samples as the primary sound library, augmented with other libraries for specific sounds and effects. 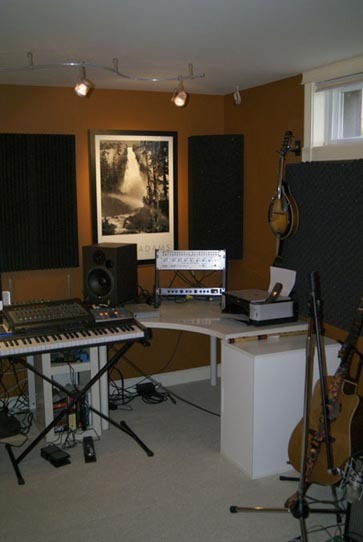 Non-orchestral libraries provide a wide range of guitar and pop production capabilities.